The cover was an instant hit with our forum members. “It is quite dark but beautiful nevertheless. Karen is still as beautiful as ever,” raved dodencebt. “Don’t actually care that it’s so dark, I’m just living for this festive glamour, Lana Del Rey-style! It’s actually perfect — the props, the way that dress envelopes her body, the jewels. They don’t need to stand aside for the likes of Bazaar. Must get this!” exclaimed Benn98. “It’s like the indie sequel to her Vogue Italia December 2004 cover. Love it,” mikel said. “Now this is how you do it. 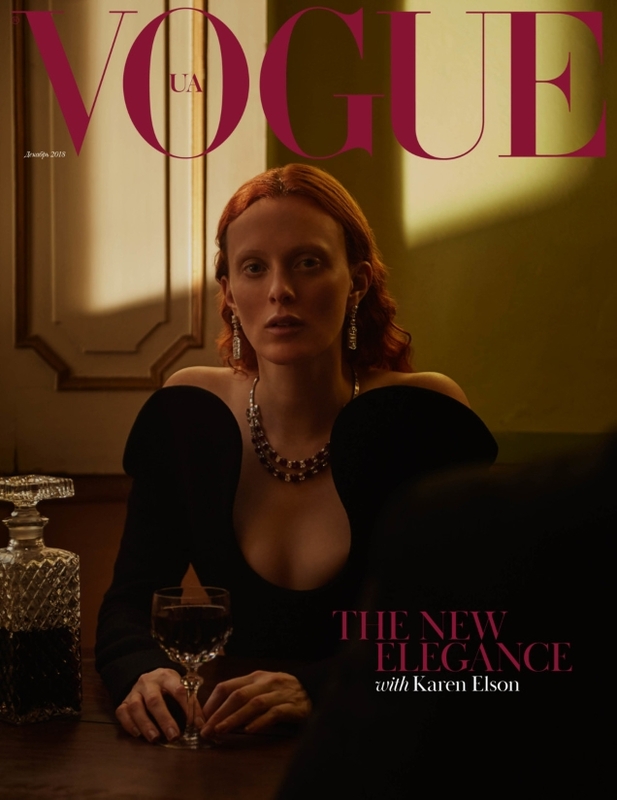 Vogue Ukraine continues to innovate with its covers. Everyone else that attempts this style looks like a desperate copycat. Karen looks beautiful and regal. It’s a very sophisticated image. The styling is perfect. One of the best December covers so far,” GivenchyHomme applauded. “Ugh, exquisite! True elegance, true fashion,” raved ghostwriter10549. “Karen looking sublime. Moody romantic chic. Holiday done right,” added zoom. Are you in love with the cover just as much as we are? See more and sound off here.